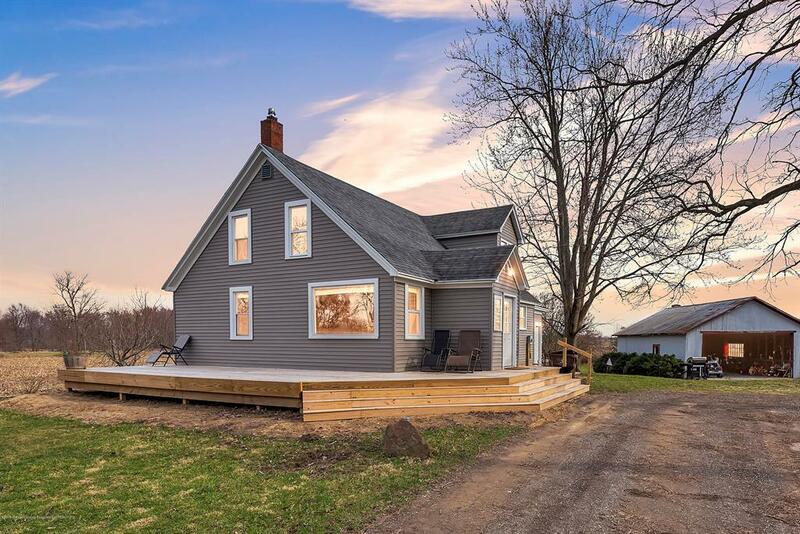 Charming modern farmhouse in Grand Ledge public schools. This 4 bedroom home has the peaceful tranquility of country living (just under an acre) and has been completely updated from top to bottom! As you first walk into the living room, you will notice the neutral modern paint colors and generous living space. To the right of the living room is the updated kitchen with stainless steel appliances. Behind the living room is a hallway that leads to 2 ample sized bedrooms (with large closets) and updated full bath. Upstairs are two more bedrooms and a shared half bathroom. You can use the additional bedrooms for family, office space, or for your favorite hobby!